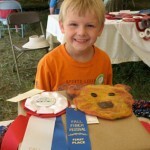 The Fall Fiber Festival of Virginia, Inc. welcomes you to the Fall Fiber Festival and Montpelier Sheep Dog Trials! 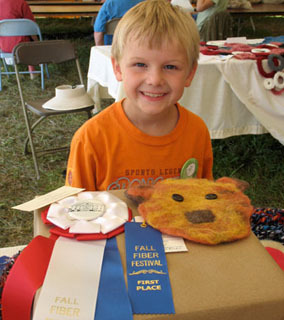 The Fall Fiber Festival proposes to present a wholesome, fun event for the entire family and at the same time show the beauty of a little known industry in this area. By presenting an educational display of sheep and fiber products, the public can develop their interest and skills in these areas as well as obtain the supplies and products they need or desire. In the Spring of 1988, a group of sheep and wool enthusiasts, led by a County Agricultural Extension Agent, visualized a need to promote this industry locally. 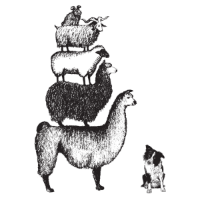 The group also felt that other fiber bearing animals such as llamas, goats, rabbits and alpacas should also be included along with sheep dog trials. After much planning and coordination and with the help of Kelly Wilkerson, the Craft Coordinator at Ash Lawn, the home of President James Monroe was chosen. The first Fall Fiber Festival was held at Ash Lawn in October of 1988. It was such a success that after the second Festival in 1989, it became necessary to look for a larger area for expansion. Another President, James Madison, came to the rescue and Montpelier was named the new home for the 1990 Festival. In 1991, a larger and increasingly popular Festival and Sheep Dog Trial was again held at Montpelier. Over the years many have helped to make the Festival a success. The original Festival Committee included Julie Burns, Martha Davis, Barbara and Malcolm Fleming, Caroline and Dan Hershey, Karen Marshall, Tom and Wren Olivier along with Steuart and Barbara Ligon.